Police have executed search warrants on a person of interest in the slaying of 24-year-old Yale graduate student Annie Le. Raymond Clark, the "person of interest" in the murder of Yale grad student Annie Le, was released from police custody early today after investigators took DNA samples from him and searched his apartment until shortly after dawn today. "He's not under arrest. We can't hold him," said New Haven Police Department spokesman Joe Avery. "He was only made to comply with the warrant." Clark, a 24-year-old technician at the Yale lab where Le's body was found Sunday, was taken into custody by police about 10:30 p.m. on a warrant that allowed detectives to take DNA samples. Clark, who is not a Yale student, cooperated and was released around 3 a.m., Avery said. At a news conference Tuesday evening, New Haven, Conn., Police Chief James Lewis said two search warrants were served, one on the residence and one on Clark himself, indicating investigators were seeking DNA evidence from saliva, hair and fingernails. "We took him into custody to gather evidence from his body and his person," Lewis said. Investigators tailed Clark for days, reportedly sending as many as 15 FBI agents to follow him at a local fair over the weekend. Approximately 150 pieces of evidence were collected from the crime scene. Clark's sister, brother-in-law and fiancee, Jennifer Hromadka, also worked in the lab building but did not go to work today. Police cars were parked all day outside Clark's apartment complex in Middletown, Conn., about 20 miles from Yale. Neighbors said surveillance cars have been at the complex for at least 24 hours. 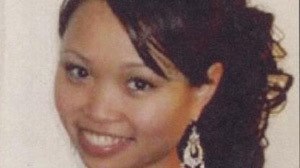 One of Clark's neighbors, Felicia Diaz, told ABC News she saw Clark and his fiancee leaving their apartment in a hurry the same day Annie Le's body was discovered. "I thought it was kind of suspicious where I thought he was moving out or something because it was a lot of luggage," Diaz said. "So I really didn't know what was going on." ABC News consultant and former FBI agent Brad Garrett said that though he had been investigated by authorities for days, it's likely police did not take Clark into custody sooner because he was not a threat to other students. "If you do not believe they are a danger to anyone else, then you may let him go," Garrett said. "If this is a crime of passion, you're not concerned about anyone else." Sources have previously described a suspect as being a lab technician who worked in the same building where Le studied. The suspect has what appears to be defensive wounds on his chest, suggesting a violent struggle. Sources also said the man failed a polygraph test. Le had been seen entering the Amistad Street lab around 10 a.m. on Tuesday but none of the cameras caught her leaving. Her body was found shortly after 5 p.m. Sunday, shoved into a space in the wall meant to conceal pipes and wiring. The medical examiner did an abrupt about face Tuesday and withheld Le's autopsy results, which would have revealed the woman's exact cause of death. The medical examiner's office said it was being withheld at the request of the New Haven State's Attorney. The state's attorney did not immediately respond to ABCNews.com to explain his decision. "One of the reasons you do not release autopsy reports is you, as the medical examiner, want to have as much information as you can before you make that report," Garrett said. "[Clark] may make statements to police, or they may find evidence that would adjust the final report." A medical examiner positively identified the body found stuffed in a wall in a Yale University lab as the missing grad student Monday. The body was found Sunday, the same day that the 24-year-old Le was supposed to get married. Sources also told ABC News that bloody clothing, found behind ceiling tiles in the lab, contained evidence that linked the killer to the crime. Investigators have been looking at Yale maintenance workers, people who worked in the lab and fellow students. Police tried to reassure Yale students that no other students are involved and no one else is in danger. The building where the body was found is known for good security and not allowing people inside who don't have the proper Yale employee or student identification. University President Richard Levin told students at a meeting Monday that they did not have worry about a murderer being loose on campus, according to the Yale Daily News. He said the building's security system logged in anyone who visits the building and what time they enter and leave. That has allowed police to reduce the number of suspects to a handful of people, the paper reported. Levin said the appropriate people were being monitored. "The people in the basement aren't going to cause any trouble until the matter is resolved," he reportedly told the students. Though police have seemingly narrowed in on a suspect, the mood around Yale is still one of sadness and uncertainty. The last on-campus murder was the 1998 stabbing death of 21-year-old Suzanne Jovin. There has been no arrest in her death. Reached in Germany, Thomas Jovin told ABCNews.com that he did not wish to comment on Le's murder or his daughter's. Hundreds of students and faculty members turned out Monday night for a candlelight vigil and prayer service at the Yale campus. Avery told ABCNews.com today that authorities didn't start focusing on the lab until a few days after Le was reported missing. Police were initially unsure, he said, if she had disappeared voluntarily before her wedding, or if she had been a crime victim. Once video surveillance cameras revealed Le coming into the building Tuesday but not leaving, search efforts zeroed in on the building. Her body was eventually found, he said, by members of the Connecticut State Police Major Crimes Unit. Friends and family had insisted for days that Le was not the kind of person to run out on her fiance, the news that police had found a body was devastating. Le was to be married Sunday. Vanessa Flores, Le's former roommate, said she heard the news on the Internet about her friend's body likely being found. "I had a very tough time just reading the headline," she told "Good Morning America" today. "It was very difficult." Flores said she doesn't know why anyone would want to kill her friend, who earlier this year had written a piece for the University Magazine questioning the safety of the New Haven campus. "The only thing I can possibly think of right now is maybe a psychopath, an anti-social person who, I don't know, maybe got upset about what she wrote back in February about not being safe," she said. Wedding gifts had been left outside the family home of Le's fiance, Jonathan Widawsky. Their impending nuptials had led some to believe that Le had gotten cold feet and fled. But Flores said Widawsky was "perfect" for Le. He's just so wonderful to her. John was so supportive of her, of her dreams," Flores said. "They would talk on the cell phone for hours, and they would just be so connected." The discovery of the body ended a massive search by state and federal authorities that had expanded to a Connecticut waste-processing facility in Hartford, in addition to the Yale lab, in the hopes of finding clues to her mysterious disappearance. Using cadaver-sniffing dogs in round-the-clock shifts, FBI agents and state troopers dressed in hazardous-material suits began searching the facility in Hartford Saturday night. Police scanned blueprints of the lab and brought in blood-sniffing dogs, paying particular attention to the building's basement. Yale had also offered a $10,000 reward for information leading to Le's whereabouts. "It is my tragic duty to report that the body of a female was found in the basement of the Amistad Building late this afternoon. The identity of the woman has not yet been established," Levin's letter said. "Law enforcement officials remain on the scene; this is an active investigation, and we hope it is resolved quickly." Adding to the intrigue surrounding the case was an article Le wrote for a campus magazine earlier this year about how to stay safe on the Ivy League campus. The article, titled "Crime and Safety in New Haven," was published in February in the magazine produced by Yale's medical school and compares higher instances of robbery in New Haven to other cities with Ivy League universities. "In short, New Haven is a city and all cities have their perils," Le wrote. "But with a little street smarts, one can avoid becoming yet another statistic." Le, who is 4 feet 11 and weighs 90 pounds, had left many of her belongings in the lab when she disappeared. "She left her pocketbook, her cell phone, everything in the lab," Le's co-worker Debbie Apuzzo said. Le's Facebook page showed her posing in wedding dresses and smiling with fiance Widawsky, a Columbia University graduate student in physics, whom she described as her best friend. "He's an amazing kid, just a wonderful, wonderful boy, and he must be heartbroken," Widawsky's friend Linda Matychack said. "I just can't imagine."